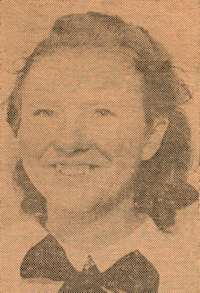 Obituary – Purcell, Arlene LaVaun (McGill) « Perry High School Alumni Association, Inc.
﻿- age 17, is the daughter of Mr. and Mrs. H. S. McGill. She was born in Verden on November 2, 1923. She attended Edmond and Hayward schools. For the past three years she has attended the Perry high schools. She served as treasurer of the. Science Club and had an office in the Polo Christian Endeavor. Lavaun is a member of the Order of Rainbow and a member of the Presbyterian church. She was on the honor roll while attending the Edmond school. Hobbies are riding, swimming, and collecting information concerning the Dionne quintuplets. She expects to attend a college next year and plans to be a nurse. 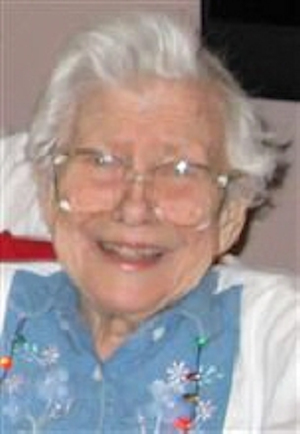 Arlene L. Purcell, age 92, passed Wednesday, November 25, 2015 at Mercy Hospital after a period of declining health. She was born November 2, 1923 in Verden, OK to Horace and Fynes (Fleming) McGill. She grew up in Edmond, and on the family farm west of Perry. She was a graduate of Perry High School and attended Central State Teachers College, where she received her teaching certificate. She taught school for one year and then pursued her career in nursing at Oklahoma University School of Nursing, where she obtained her Registered Nurses degree, scoring the highest test scores in the state. She worked over 35 years for Dr. Delhotal and also worked at University Hospital and was camp nurse at Camp Classen. She had always been active in Scouting and was known as the neighborhood ‘Mom and nurse.’ She was the first female Hunter Safety Instructor in the state. She was a longtime Methodist, and had been a member at OKC First United Methodist Church, Wheatland UMC, and was presently a member at Mustang UMC. She was preceded in death by her parents, her husband Warren, and one sister Lavaun. Survivors include her son Kevin and wife Tresa of OKC and her daughter Kerry Purcell of the home in Mustang. There will be no viewing or visitation. Services will be held at 2pm on Tuesday, December 1, 2015 at Mustang UMC with interment following in Pleasant Valley Cemetery, Wheatland, OK under the direction of McNeil’s Funeral Service, Mustang, Oklahoma. In lieu of flowers donations may be made to Mustang United Methodist Church.